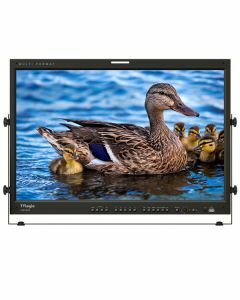 The LVM-241S is our top QC-Grade 24” model utilizing the 10-bit, wide colour gamut and wide viewing angle IPS LCD panel with 1920 x 1200 resolution. The LVM-241S is our top QC-Grade 24” model utilizing the 10-bit, wide colour gamut and wide viewing angle IPS LCD panel with 1920 x 1200 resolution. Based on precision colour calibration and video processing, the LVM-241S reproduces high picture quality and accurate colours. Equipped with dual 3G-SDI input, the LVM-241S supports Picture-by-Picture with dual scaler and interlacer. It also supports various professional features such as 3D LUT import and F/W update via USB, Waveform/ Vectorscope, Focus Assist, Timecode, UMD and CC with advanced UI based on Linux.